Posted November 9, 2017 • filed under Experience, News. This is the phrase. Adopted as a pep-talk by silicon valley Imagineers and tech startups, by creative writing students and university lecturers. It doesn’t mean what you think it does. It isn’t a hopeful phrase, isn’t an entreaty to keep going, to try your best and move on from disaster. It’s a mournful set of words. Melancholic, devoid of joy. A sequence spoken at the end of a life filled with failures. An introspective self-justification to remain sane as you lie on your deathbed. It is the language of disillusion and despair, despondency, and defeat. We do it a disservice by misquoting it. We malign it as we forget its place amongst the last things Beckett put to paper. We employ it as a lie. Worse: We have weaponised the concept of failure. This weaponisation has a real effect. It is not an abstract, not a situation we can ignore. Billions are thrown at mis-advised startups and empty-headed schemes which are fated to collapse before they draw their first real breath. The hot air present in new technology entrepreneurism has been powering the whole world for years. In its weaponisation, it occludes the value of learning. ‘Fail better’ has become a mantra for moving on and jumping aboard the next, newest, shiniest piece of technologically enabled disruption. It has become a watchword for novelty for the sake of itself. The innovation Ouroboros eating its tail, as Saturn squats in the next room, devouring his children. Each one, he imagines, will taste better than the last. Each time, he is disappointed. Beckett wrote those words toward the end of his life. The whole novella (Worstward Ho. 1984, Grove Press) is a lament. The phrase, that phrase, specifically laments the desire to succeed at one thing. To strive toward perfection at the expense of all else. Beckett skewers, impaling on a stake, precisely the anodyne future that his words would engender. Fail better has become the phrase to justify a butterfly-like flitting from one disaster to the next. Your document management start-up just went bust? Don’t worry, there’s an umbrella-sharing scheme opening in Shanghai next week. Jump on board. Just remember to fail better next time. Beckett pursued the word. His try again, fail again; a steady, unending process of whittling and carving. The novels, plays, novellas and poetry each, and together, bear testament to obsession. Beckett, and the context that phrase, the phrase, arose from is why the weaponisation of failure is toxic. We have allowed failure to be acceptable because, in truth, it is. Failure is part of the creative process. Novels contain chapters replete with failure. Paintings the same. What is different about an artist’s failure, and a tech startup’s failure, is that the former fails in the name of improvement, in pursuit of learning. Failure is a step along a path and the footfall it leaves will be examined, pored over and deconstructed. Poked at and worried over. Realigned and turned inside out. The latter will be packaged as equity debt and sold on, reabsorbed into the guts of the machine. It will appear, in a new suit, in a year or so, whereupon the whole sorry circus will begin once more. Beckett demanded perfection, insisted he live up to his internal expectation of his work. 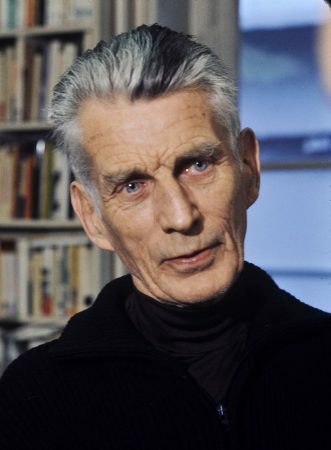 His lifetime was dedicated to embodying human experience in words; an impossible ambition, but one that Beckett’s diligence, his obsession, brought closer to fruition than, arguably, any other writer in history. Beckett accepted the Nobel Prize for Literature. Accepted, and declined to attend the ceremony in Stockholm. He was too busy working1. Too busy failing better. 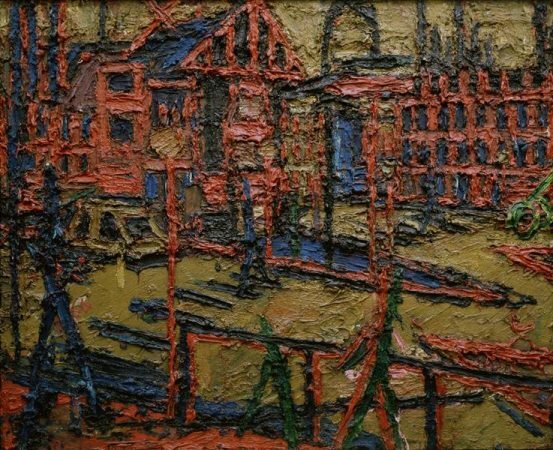 Beckett’s fail better is Frank Auerbach painting every single day for sixty years. Remarking of his work that “… I haven’t done enough pictures to justify my existence”. Carving an image out of his paint2, willing the subject to manifest on the canvas. Failure is a choice, not a consequence of iteration. Failure happens when you walk away from an idea. When you give up. Everything else is narrowing your focus and getting better, becoming more precise. Try again. Fail again. Better again. Or better worse. Fail worse again. Still worse again. Till sick for good. Throw up for good. Go for good. Where neither for good. Good and all. Tom Abba is a writer and designer working with the form of digital and physical books. He is the Associate Head of Department for Research and Scholarship in Art & Design at UWE, a Director of Circumstance, and co-directs the Ambient Literature project with colleagues from UWE, Bath Spa and Birmingham Universities.